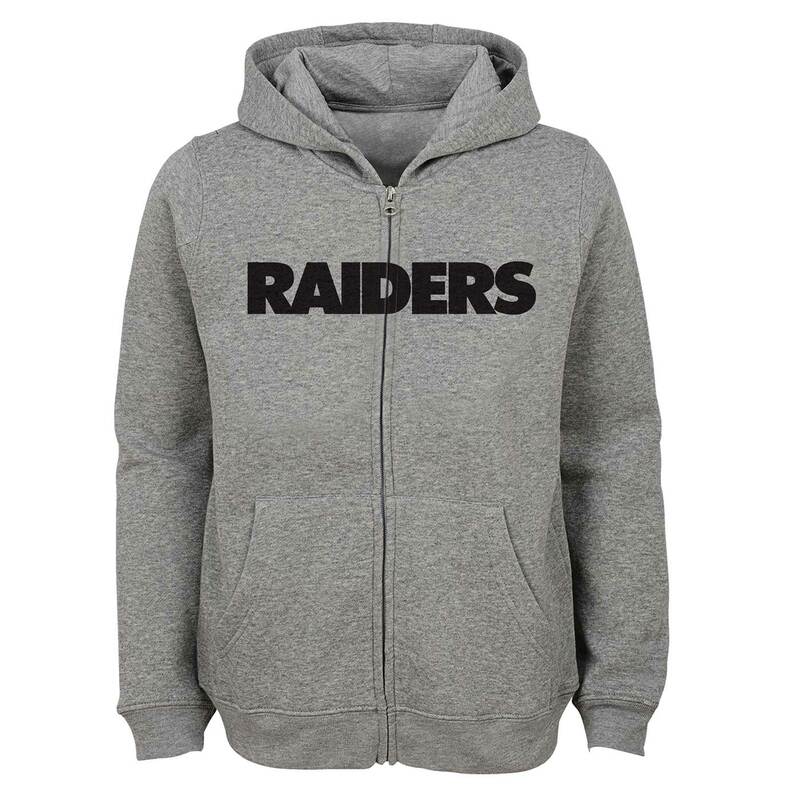 A great start to your little fan�s Raider collection! The Raiders Juvenile Wordmark Full Zip by Outerstuff features the official Raiders� wordmark stitched across the chest. 60% cotton, 40% polyester.